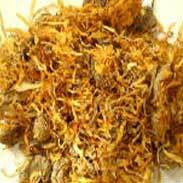 The parts used in herbal medicines are the flower heads including the sticky green calyx and the beautiful yellowish-orange flowers of Calendula officinalis, best harvested in the late afternoon and used both fresh and dried. The medicinal Calendula is not to be confused with its somewhat similar looking cousins from the Tagetes family but it is not often found blooming in the wild anyway but rather it is easy to grow at home for beauty, medicine and food; the old custom of adding its flowers to salads or the 'pot' gives it one of its common names 'pot-marigold'. Some herbalists consider Calendula to be the single most useful herb for healing damaged or broken skin and there is no doubt that is a profoundly helpful healer both inside and out. 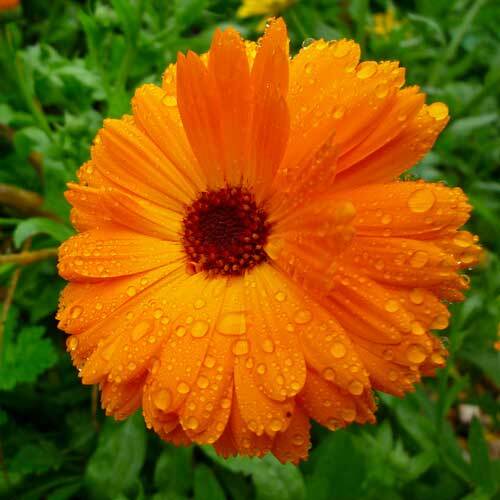 John Heinermann writes; British folk medicine records the saying “Where there is calendula, there is no need of a surgeon.” Calendula is not a miracle herb that can prevent modern surgeries. The saying was coined when the most common surgery was amputation, and the most common cause of amputation was infected wounds. Dr. William J. Clary, of Monroeville, Ohio, writes in King's Dispensatory, 1898; 'as a local remedy after surgical operations, it has no equal in the Materia Medica. Its forte is its influence on lacerated wounds, without regard to the general health of the patient or the weather. If applied constantly, gangrene will not follow, and, I might say, there will be but little, if any, danger of tetanus. When applied to a wound it is seldom that any suppuration follows, the wound healing by replacement or first intention. 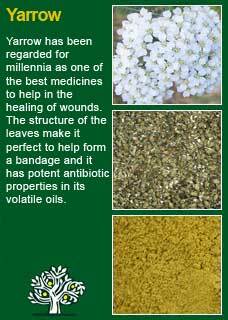 It has been tested by several practitioners, and by one, is used after every surgical operation with the happiest effect.You need not fear to use it in wounds, and I would not be without it for a hundred times its cost. It is to be made into a saturated tincture with whiskey diluted with one-third its quantity of water; lint is saturated with this, applied to the parts, and renewed as often as it becomes dry. 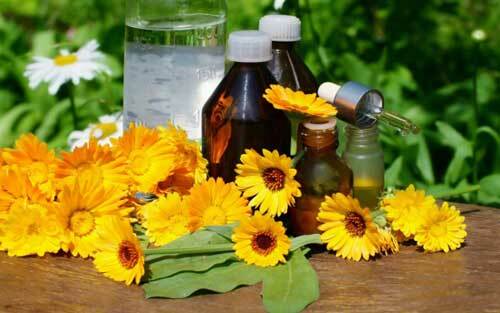 Calendula has been used to cleanse wound and promote healing since ancient times. The flowers contain constituents that kill bacteria, viruses, and moulds, and others that are powerfully anti-inflammatory. Still more constituents promote cell growth in wounds and ulcers. It has great value in either salve or dilute tincture form for any kind of external skin, muscle or blood vessel problems--wounds, sores, varicose veins, pulled muscles, boils, bruises, sprains, athlete's foot, burns, frostbites, etc. Calendula's ability to aid healing to our external skin is matched by its ability to help heal the internal 'skin' of our gut lining, something that in the modern world, is just as likely, or even more likely, to be exposed to harm as our external bodies. Calendula was called sponsa salis in Ancient Roman times which means the 'bride of the sun'. It was one of the four sacred herbs that followed, resembled or represented the sun and could be found blooming at the pivotal turning points of the year. In Calendula's case, this was the autumn equinox, 21st March in Southern Earth, 21st September in the North. For the spring equinox, 21st September in the South, 21st March in the North, the humble Daisy is the sacred flower showing the delicacy and hope of new life. For Midsummer, June 21 in the North, December 21 in the South, the bold uplifting St John's wort is the patron. For Midwinter, June 21 in the South, December 21 in the North, we honour the mistletoe, not for flowers that have little sun to see on the longest night of the year but for its evergreen leaves that speak the promise of better times to come. 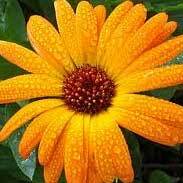 It is said that if the Calendula flowers close up in the morning then for sure it will rain the following day. Unfortunately, I now have to note that it has been cited by some authors as being unsafe for pregnancy due to 'suspected spermatocide, antiblastocyst, and abortifacient effects'. However, when I have scoured the medical literature to find any reason for this or any evidence whatsoever, I could find nothing. So then how do such opinions come about? It is a mystery, but it appears inevitable that the more popular a herb is, the more myths and misconceptions it seems to accumulate. We, people on planet Earth, have used Calendula for many centuries, in fact millennia, for all ages, including during pregnancy, with no-one ever becoming concerned that it might be toxic. 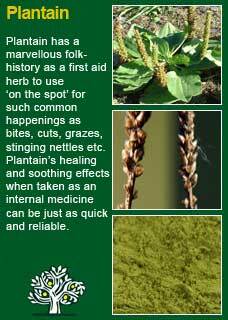 Let's not throw away something that has been so well-tested by time, and can be of so much help when a healing herb is needed. 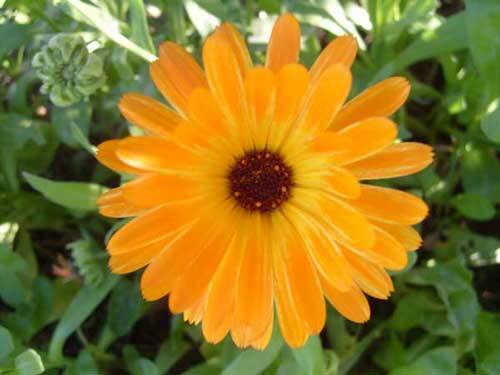 Until any kind of evidence is provided, I consider the accusation of Calendula as being unsafe for pregnancy as unfounded and untrue, not guilty! Calendula is also a friendly, palatable and easy to use herb. If I drink a few of its dried flowers in a tea with a quiet and attentive mind (a process I highly recommend to anyone who is studying herbal medicine or simply wants to learn much more about these great plant allies), I can better feel the 'action' of the herb and how it is such a gentle but at the same time strong healer. Calendula has a kind of 'binding' energy that can see it being much more than only a herb to take when there is a physical injury. If you who are reading this have some Calendula growing or can get some of its dried herb, then I warmly recommend you try drinking a cup yourself some time when you are simply feeling a bit fractured from the troubles that life can bring. I think by the end of the cup and by how much better (e.g. peaceful, centred, optimistic) you will feel within you will gain a life-long appreciation of just how much healing there truly is in this common, and beautiful flower. I have found that the internal use of Calendula can be superb for digestive disorders where the tissues have become sore or broken, including such serious conditions such as gastric and duodenal ulcers. 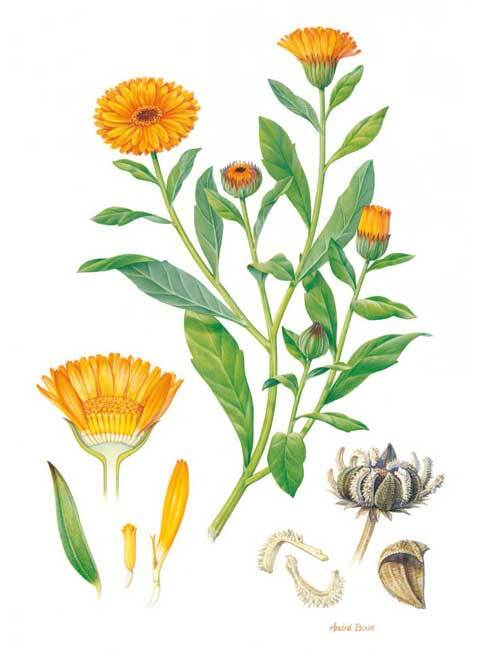 For direct tissue healing on a damaged gut wall Calendula works best in a tea form and here I will often combine it with one or two other great healing herbs such as Agrimony, Plantain, Yarrow or Shepherd's purse. An example tea formula is given below. 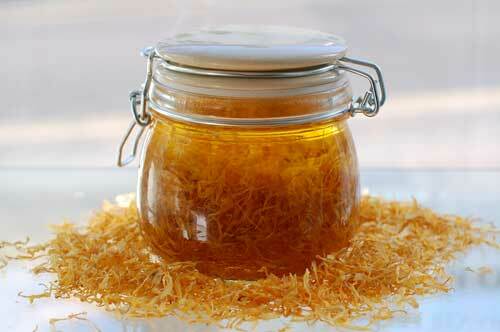 As an internal tonic herb Calendula has great renown in being able to help with cleansing the lymphatic system. 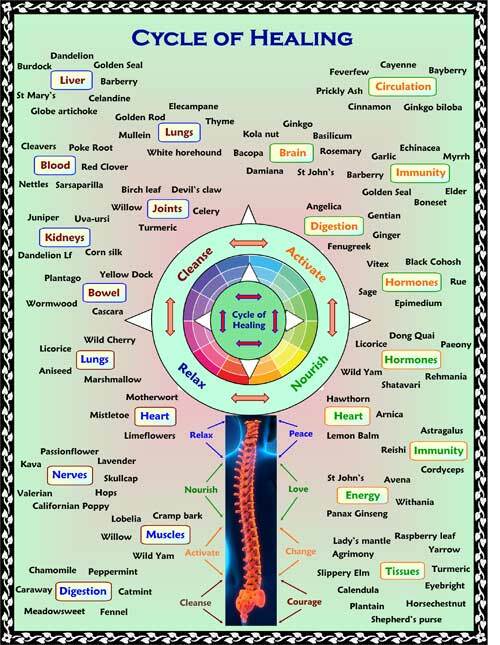 When there are the symptoms of lymph congestion such as swollen glands, heavy rings under the eyes, poor healing from wounds or chronic infections and fatigue then the greatest herbs to work with in this area can be Calendula, Red Clover, Cleavers and Poke root. An example tincture formula is given below. 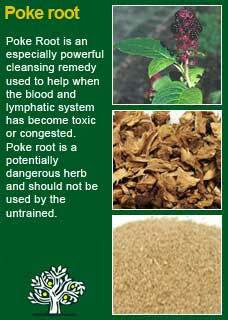 Dosage and preparation of the herb is always a critical part of herbal medicine to get right. 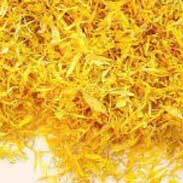 I am fond of using quite high doses of Calendula so, after much experimenting with different strengths of extraction (some authors recommend high levels of ethanol, i.e. between 60 and even 90%, to get plenty of the resins out) we prefer to use just a 40% level and make a lovely 1:5 tincture that gives ample medicinal benefits without there being too much ethanol to take. 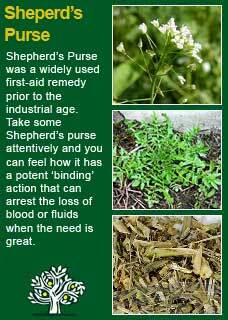 For a strong action of the herb I will use anywhere from 2 to 3 mls of that strength tincture, twice or three times a day. 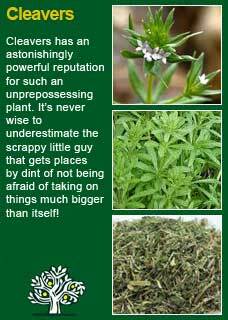 Or a good 2 or 4 grams of the herb in combination with others in a strong infusion. To make 150gms. For a strong treatment program to treat any kind of wounded, leaky, ulcerated gut, this could be a 10-day course whereby each day the person took a 10th of the mixture, approximately 15 grams, and infused it into 2 to 3 large cups of freshly boiled water. Cover and allow to steep for a good 10-15 minutes. Strain the infusion and drink in divided doses throughout the day. It can be kept warm in a thermos or drunk at room temperature, whatever the person prefers. It will be good to divide the dose into at least 3 amounts to get the herbs acting on the gut-surface freely and frequently. To make 560mls, which will just fit into a 500ml amber pharm round. 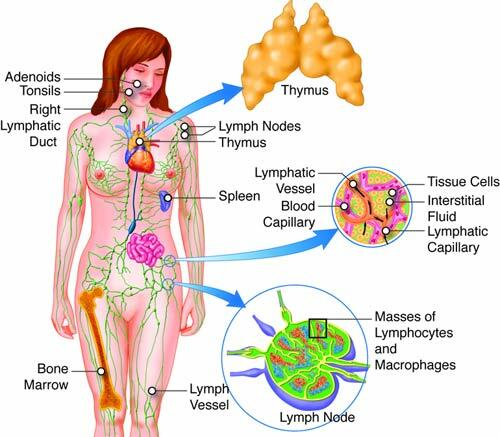 Bearing in mind that these would be tinctures that we make in our clinic, therefore herbal extracts from other companies or practitioners might have a different range, the dose I would give for a sure action on helping with congested lymph would be around 8mls, twice a day. Externally Calendula is a remarkably potent ally in helping in the healing of wounds where the skin is broken, and the body needs help to heal itself. For a strong compress for open skin problems such as ulcers, wounds, weeping eczema etc. take a small handful of Calendula flowers, briefly boil in about half a litre of water then cover and allow them to steep for at least another 10-15 minutes before straining. It is also ok to just leave the Calendula steeping in the water until it has cooled. Soak a cloth in the Calendula 'tea' and apply over the damaged skin until the compress has dried out somewhat. This can be re-applied as frequently as required. In a bad wound you can keep the Calendula compress refreshed until the crisis has passed. Note: you must make sure that the wound or sore is as clean as possible before you do this treatment because the Calendula will rapidly activate tissue healing and any debris caught inside could get trapped and create another problem further down the track. Much of the information here about the traditional uses of Calendula is consistent with the model of thinking whereby one may treat problem A with plant B. There is value in this approach, especially in how it helps us pass on useful knowledge to one another, but it falls short in one vital area; and that is that people are not all cut from the same cloth! Something that works brilliantly for one person may do little for another -- why is this?